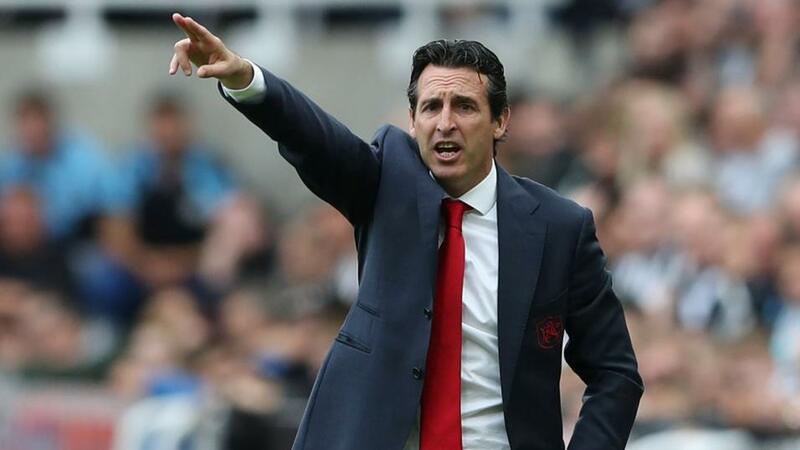 Will Unai Emery point Arsenal to victory over Wolves? Arsenal could move back into the top four with a win over Wolves. Opta weighs up the odds. "Arsenal are unbeaten in their last 19 matches against Wolves in all competitions (W16 D3) since a 2-3 defeat in September 1979 under Terry Neill." They are [1.69] to win. Arsenal are unbeaten in their last 19 matches against Wolves in all competitions (W16 D3) since a 2-3 defeat in September 1979 under Terry Neill. They are [1.69] to win. Wolves have avoided defeat in just one of their eight Premier League games against Arsenal (P8 W0 D1 L7), though that was in their last visit to the Emirates in December 2011, a 1-1 draw under Mick McCarthy. Another draw is [4.2]. Arsenal have taken 59 points from their last 63 available at home in Premier League games against newly promoted sides (P21 W19 D2 L0) since losing 0-1 to Newcastle United in November 2010. The Gunners are [3.1] to win to nil. Arsenal haven't been behind for a single minute in eight Premier League matches against Wolves - only one team has ever played more games against an opponent without falling behind (Chelsea v Portsmouth, 14 games). They are [2.6] to win half-time/full-time. Wolves have played more Premier League games against Arsenal without winning (8) than against any other opponent. The draw half-time/Arsenal full-time double result is [5.0]. All three of Wolves' Premier League goals against Arsenal have been scored via corners. Both teams to score is [1.74]. Arsenal are unbeaten in nine Premier League games (W7 D2), last going 10 without defeat in the competition in December 2016 (a run of 14). They are [1.29] in the Draw No Bet market. After a six-game unbeaten run (W4 D2), Wolves have lost their last three Premier League games. An Arsenal win and both teams to score is [3.2]. Arsenal striker Alexandre Lacazette has been directly involved in 16 goals in his 18 Premier League starts at the Emirates Stadium (12 goals, 4 assists). Lacazette is [2.2] to score. Arsenal's Pierre-Emerick Aubameyang has scored five goals and assisted two more in five Premier League appearances against newly promoted sides. Aubameyang is also [2.2] to find the net.